Supplies for this card are listed below. Do you like to read? I love to, especially detective stories of all sorts. I can’t say that I am an avid read and that I read a lot, but I do enjoy an occasion book. 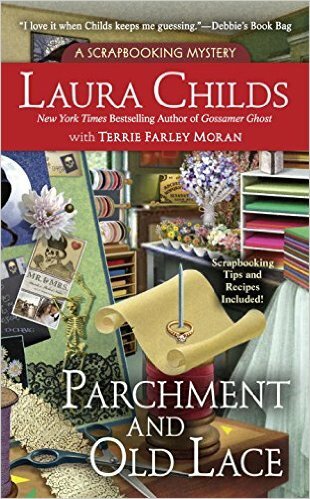 Last fall I was given a Scrapbook Murder Mystery book to read – Parchment & Old Lace by Laura Childs. I was a bit skeptical at first, but I enjoyed that book so much I am now reading my 4th book from the Scrapbook Murder Mysteries series from Laura Childs. I do find these books and stories very enjoyable and the bonus scrapbooking info is so much fun! The main character in these books, Carmela Bertrand, is a scrapbook store owner and I especially like the sections where author describes her Scrapbook Store – Memory Mine as well as various scrapbooking classes taught there. It is a very fun read and definitely something unique. If you are into detective stories I think you might like reading these too! Here are links to the 4 books I’ve already read/currently reading (Keepsake Crimes – I wanted to start from the beginning and read all of them), but there are about 13 or 14 books out there from the Scrapbook Murder Mysteries series. 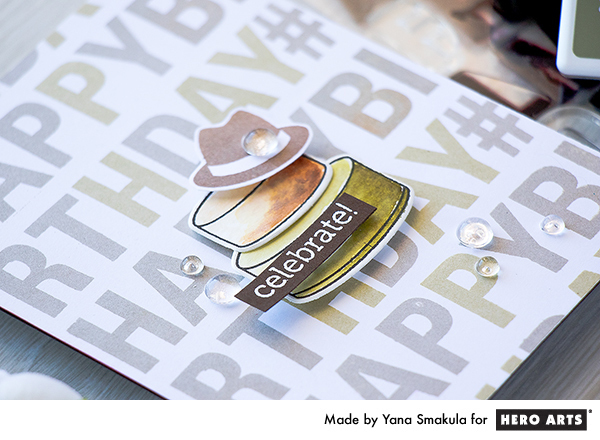 Yana, your card is handsome and striking! Man-marvelous in every way! I’m 200% a fan of mystery novels, so your recommendation of this author/book has me incredibly excited! I checked the reviews in Good Reads and WOW….4.5 stars out of 5! I’ve already ordered it from our local library. Hope it arrives sooon; I’m intrigued! Once you’re done with her books, do check out Louise Penny (from Canada, as am I) and her Inspector Gamache series. They are my all-time favourites…so engaging! The first is titled Still Life; her most recent (#11, I believe) will be available at the end of August. I can’t wait! Perhaps you’ll wind up having a ‘crush’ on Inspector Gamache as I do. So appreciate the smiles you’ve brought me today, in ‘visuals’ and ‘in words’. thank you so much, Carol! This sounds very exciting, I’ll make a note of the author and her series, thank you for suggesting it! I am always on the lookout for a good book to read. Hugs! Ok. 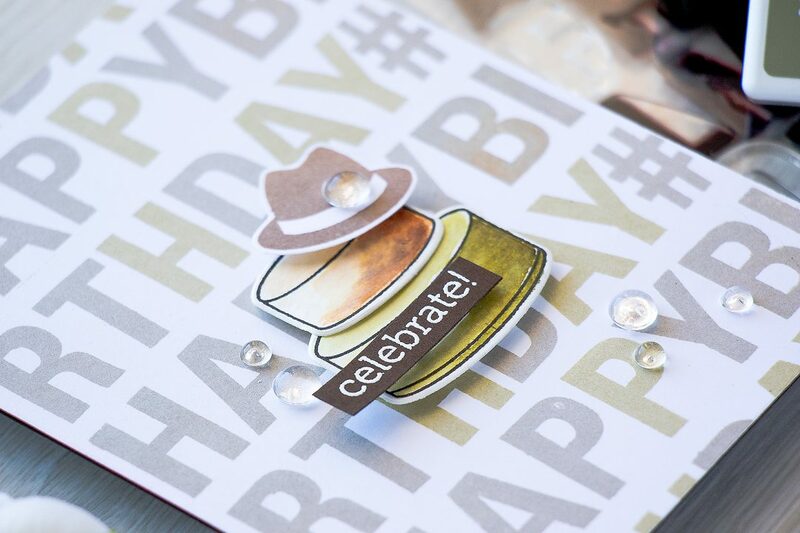 I came here to say wow for the card, which I already did over at HA. But here is another thing to say wow. Will definitely check these out! I almost don’t read. Have a lot of YouTube to watch and comments to write. But these got me interested. yes, you can read those on your way to/from work 🙂 very engaging. I just got 3 new books for Christmas and I am having a blast reading!